Background: Minimally invasive pedicle screw fixation is an effective treatment for thoracolumbar diseases, but skilled operations are required during the internal fixation. If inaccurate implantation occurs, adverse reactions will appear postoperatively; for example, the implanted screw will fall off. 3D printing can manufacture a suitable implant for a patient, accurately simulate the repair process, and reduce the difficulty and complexity of the operation, aiming to produce an implant that is most suitable for repair surgery. Here, we describe our protocol for testing the hypothesis that precise localization during minimally invasive lumbar pedicle screw placement can be achieved with the assistance of a 3D-printed module. Methods/Design: A single-center, self-controlled, open-label study with 2-year follow-up was carried out at the Affiliated Hospital of Putian University, Putian, Fujian Province, China. Preoperative thin-layer CT data from 36 cases of lumbar spine fixation were collected and digitally reconstructed using Mimics software. An ideal channel for screw insertion via the vertebral pedicle was preset, and a 3D-printed navigation module with a screw channel was designed and printed based on the anatomical structures of the bone surface that could be stripped around the screw channel. Minimally invasive pedicle screw fixation was then navigated by the 3D-printed module using the Quadrant system. A thin-layer CT scan was used for postoperative three-dimensional reconstruction. The primary outcome measure was accurate rate of screw placement, which was used to assess whether the screw placement under navigation by the 3D-printed module achieved the desired results. Secondary outcome measures included lumbar CT results preoperatively, 6 and 24 months postoperatively, operation time, intraoperative blood loss, duration of radiation exposure, and incidence of adverse events at 6 and 24 months postoperatively. Some results from the completed surgery are given below: the time of operation, amount of bleeding and duration of radiation exposure were 120.58 ± 56.46 minutes, 136.83 ± 40.62 mL, and 50 ± 11 seconds, respectively. A total of 186 screws were inserted in the patients, with a 98% accuracy rate. Discussion: The study aims to test our hypothesis that a 3D-printed module is a valuable aid for screw localization in minimally invasive lumbar pedicle screw placement, providing clinical data for 3D-printed module-assisted minimally invasive lumbar surgery using the Quadrant system. Trial registration: ClinicalTrials.gov identifier: NCT02970578. Ethics: The study protocol was approved by the Ethics Committee of the Affiliated Hospital of Putian University, Fujian Province, China, and performed in accordance with the guidelines of the Declaration of Helsinki, formulated by the World Medical Association. Informed consent: Written informed consent was obtained from all participants prior to the trial. Background: Posterior pedicle screw fixation is commonly used for thoracolumbar fracture. However, associated disadvantages include severe trauma, extensive bleeding, long rehabilitation time, and long postoperative duration of intractable lumbar stiffness and low back pain. Percutaneous pedicle screw external fixation can reduce injury caused by screw insertion into the paraspinal muscles; particularly in acute thoracolumbar vertebral compression fracture with simple anterior spinal column injury. We hypothesized that minimally invasive posterior percutaneous pedicle screw fixation for acute thoracolumbar vertebral fractures with simple anterior spinal column injury would exhibit good curative effects. Methods/Design: This retrospective, single-center, self-controlled trial was performed in the PLA 153 Central Hospital, Zhengzhou, Henan Province, China. Thirty-two patients with acute thoracolumbar vertebral fracture with simple anterior spinal column injury (22 males and 10 females, average age 24.7 years, range 25-47 years) were included. All patients underwent minimally invasive posterior percutaneous pedicle screw internal fixation and were followed up for 3 months. The primary outcome measure was the Cobb angle of the injured vertebral body before, immediately after, and 3 months after internal fixation, which was used to investigate the change in the thoracolumbar spine curvature. The secondary outcome measures included: the anterior height of the injured vertebral body and radiographic findings before and immediately after internal fixation and at the last follow-up (to evaluate the recovery of thoracolumbar vertebral fracture), operation time, intraoperative blood loss, and duration of hospitalization. Other outcome measure was the incidence of adverse events 3 months after internal fixation. Discussion: This study aims to validate the curative effects of minimally invasive posterior percutaneous pedicle screw fixation in acute thoracolumbar vertebral fractures with simple anterior spinal column injury, and provide objective long-term follow-up data for future studies. Trial registration: ClinicalTrials.gov identifier: NCT02963571. Ethics: The study protocol had been approved by the Ethics Committee of PLA 153 Central Hospital, China and was performed in strict accordance with the Declaration of Helsinki developed by the World Medical Association. Informed consent: Written informed consent regarding study protocol and treatments had been obtained from each patient. Background: In spinal tuberculosis patients with severe kyphosis deformity, internal fixation via either the anterior or the posterior approach reportedly has good curative effects. However, few prospective, long-term follow-up case control studies have compared the outcome after surgery via the anterior versus the posterior approach. Methods/Design: This is a prospective, single-center, self-controlled, open-label trial that will be performed at the Affiliated Hospital of Hebei University, China. This study will include 84 patients with severe kyphosis deformity in spinal tuberculosis according to diagnostic criteria. Of 52 patients with tuberculosis of the thoracic spine, 28 will undergo surgery via the posterior approach, and 24 via the anterior approach; spinal cord function in these 52 patients has been classified as Frankel grade C (n = 8), D (n = 31) and E (n = 13). Of 32 patients with tuberculosis of the lumbar spine, 16 will undergo surgery via the posterior approach and 16 via the anterior approach; these 32 patients have been classified as Frankel grade C (n = 7), D (n = 14) and E (n = 11). The primary outcome measure of this study will be comparison of the Cobb angle at the thoracic spine segments preoperatively versus 2 years postoperatively (to evaluate the change in thoracic spine curvature). The secondary outcome measures will be X-ray or MRI findings preoperatively versus 2 years postoperatively (to evaluate vertebral body fusion after internal fixation), and Frankel grade preoperatively versus 2 years postoperatively (to evaluate recovery of spinal cord function). Other outcome measures will include multiple logistic regression analysis results of the factors that influence curative effects, and the incidence of adverse events 2 years postoperatively. Discussion: This study aims to validate the curative effects of cobalt alloy pedicle screw implantation in severe kyphosis deformity in spinal tuberculosis, and to determine which internal fixation approach (posterior or anterior) is more beneficial. The results will provide objective long-term follow-up clinical evidence of the efficacy of internal fixation treatment of severe kyphotic deformity in spinal tuberculosis. Trial registration: ClinicalTrials.gov identifier: NCT02971644. Ethics: The trial protocol has been approved by the Ethics Committee, Affiliated Hospital of Hebei University, China and will be performed in strict accordance with the Declaration of Helsinki, formulated by the World Medical Association. Informed consent: Signed informed consent regarding the trial protocol will be obtained from each participant. Background: Radiography is commonly used for investigating ankle injury, but is inadequate for diagnosing some ankle fractures and ligamentous injuries. Thus, radiography cannot be used for accurate fracture classification or to formulate a treatment program. In contrast, magnetic resonance imaging can clearly show occult ankle fractures and ligamentous injuries, and can diagnose fracture combined with ligamentous injury. Therefore, radiography combined with magnetic resonance imaging may potentially be adequate for fracture classification and postoperative evaluation. Methods/Design: We conducted a retrospective, single-center, self-controlled, clinical trial with 3-month follow-up at the First Hospital, Hebei Medical University, China. Sixty-eight patients with ankle injury received internal fixation for fracture and ligament repair. The site of fractures was determined using radiography plus magnetic resonance imaging. 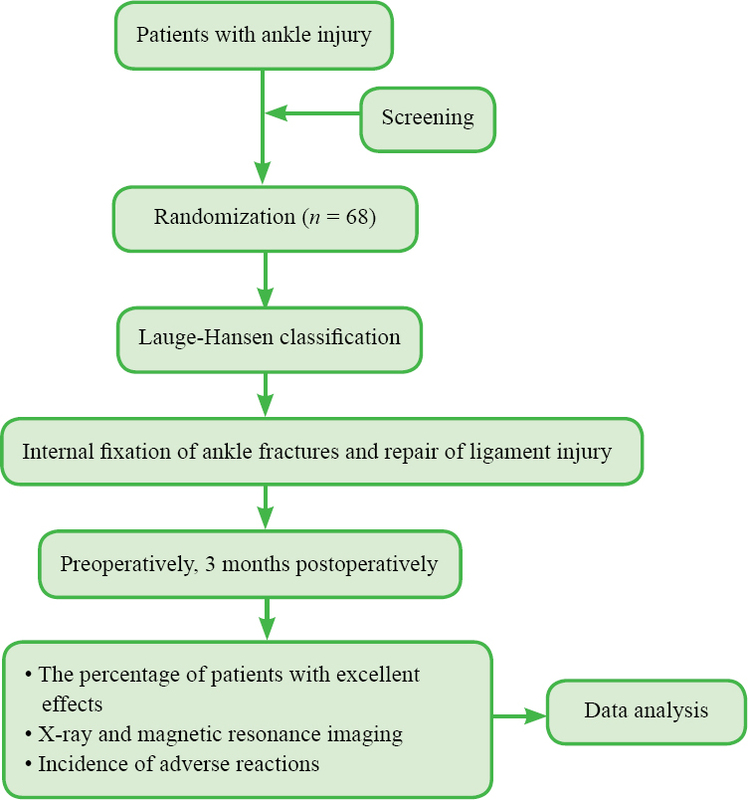 Ankle fractures were categorized preoperatively using the Lauge-Hansen classification. 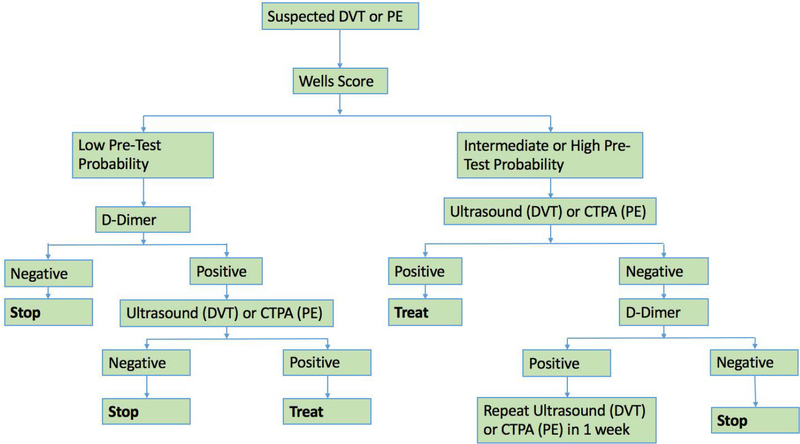 We then defined imaging evaluation criteria, which were used to assess ankle fractures postoperatively. The primary outcome was the percentage of patients with an excellent outcome according to the evaluation criteria at postoperative 3 months. The secondary outcomes were the preoperative Lauge-Hansen classification; fracture repair as evaluated by radiography plus magnetic resonance imaging preoperatively and 3 months postoperatively. Other outcome was incidence of adverse events at postoperative 3 months. Results demonstrated that 53% of patients had an excellent outcome according to the evaluation criteria at postoperative 3 months. The numbers of patients with excellent, good and poor outcomes were 36, 23 and 9, respectively. In accordance with the Lauge-Hansen classification, there were 7 cases of pronation-abduction, 14 cases of pronation-external rotation (pronation-eversion), 13 cases of supination-adduction, and 35 cases of supination-external rotation (supination-eversion). The incidence of adverse events at postoperative 3 months was 17%. 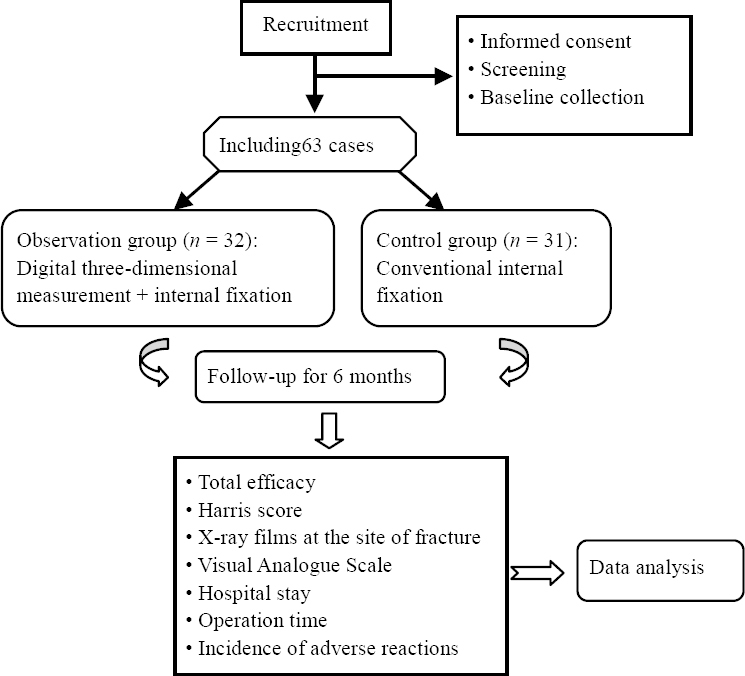 Discussion: This study analyzes the feasibility of radiography combined with magnetic resonance imaging for ankle fracture classification and postoperative evaluation to provide an accurate clinical basis for repair of ankle injury. Trial registration: ClinicalTrials.gov identifier: NCT02964754. Ethics: The study protocol has been conducted in accordance with the Declaration of Helsinki, formulated by the World Medical Association. Informed consent: Written informed consent was obtained from all participants. Background: During internal fixation for complex long bone fractures, it is difficult to position the internal fixator completely to the contours of the bone surface, often resulting in unstable fixation and affecting the quality of the repair. Digital three-dimensional (3D) models were therefore established based on computed tomography (CT) scans that closely reflected the site and degree of fractures, thereby guiding precise positioning of the internal fixator. From a safety point of view, the digital 3D-derived model was created to ensure that the internal fixator could achieve better repairs of complex long bone fractures. 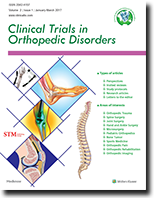 Methods/design: We propose to conduct a prospective, single-center, randomized, controlled, open-label, clinical trial at the Department of Orthopedics Trauma, Affiliated Hospital of Qinghai University, China. Sixty-three patients with complex long bone fractures will be randomized into two groups. In the observation group (n = 32), digital 3D models based on CT images will be used to establish internal fixation. In the control group (n = 31), patients will undergo conventional internal fixation. All patients will be followed up for 6 months. The primary outcome will be total efficacy at 6 months postoperatively in both groups. The secondary outcomes will be (1) hip function evaluated by Harris scores before and 6 months after surgery; (2) fracture healing observed by plain radiography before and 6 months after surgery; (3) pain relief evaluated by a visual analogue scale before and 6 months after surgery; (4) assessment during the hospital stay and 6 months after surgery to assess recovery of the patient's condition; (5) operation time to evaluate the speed of operation. Other outcome will be the incidence of adverse reactions at 6 months postoperatively. Discussion: This trial will analyze the feasibility of digital 3D models for repairing complex long bone fractures with the aim to provide a new method for accurate, safe, reliable preoperative planning to achieve a better repair effect. Trial registration: ClinicalTrials.gov identifier: NCT02964754. Ethics: The study protocol has been approved by the Ethics Committee of Affiliated Hospital of Qinghai University of China, approval number NQH14023. All protocols will be in accordance with Declaration of Helsinki, formulated by the World Medical Association. Informed consent: Written informed consent will be provided by participants.